In a letter to his children, this father is compelled to bring the mournful news of disappearing wildlife despite best efforts. Eric Metzgar is a two-time Emmy®-nominated filmmaker. 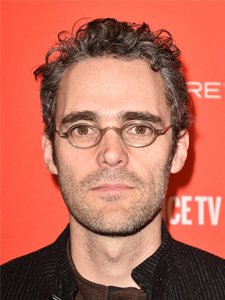 He directed, shot, and edited Reporter (2009), about New York Times reporter Nicholas Kristof, which premiered at Sundance and was nominated for an Emmy Award and the International Film Award by Cinema for Peace. He also directed, shot, and edited Life.Support.Music. (2008), which was broadcast on POV, and The Chances of the World Changing (2006), which was nominated for an Independent Spirit Award. Metzgar recently edited and produced Crime + Punishment, which won the Grand Jury Award for Social Impact at the 2018 Sundance Film Festival and was shortlisted for an Academy Award®.